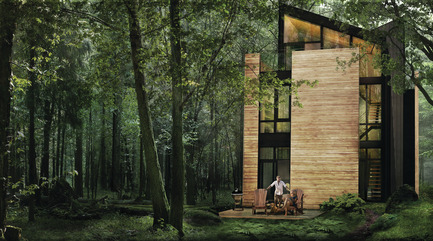 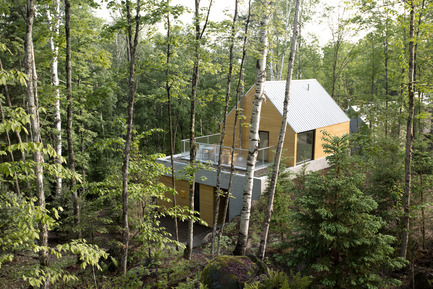 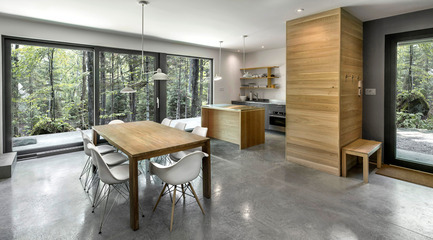 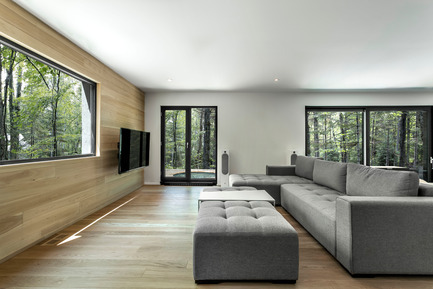 Architectural design firm YH2 marries modern residences with a natural experience in the Canadian Laurentians. 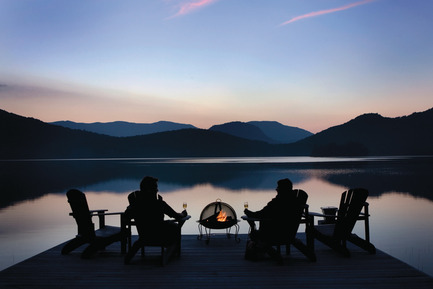 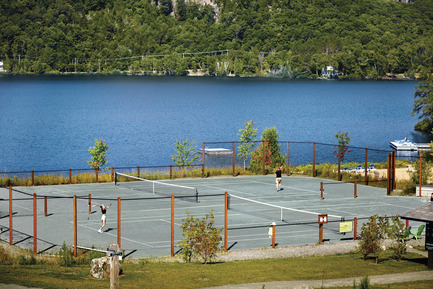 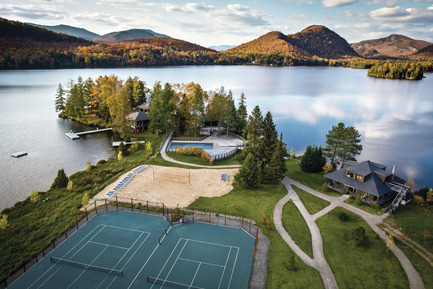 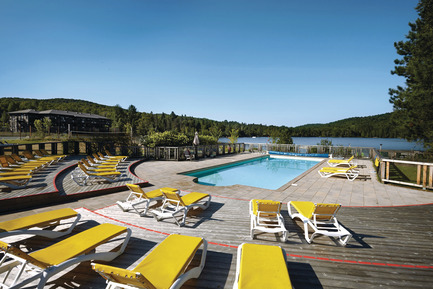 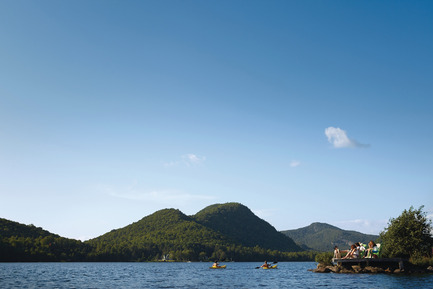 Located on the north side of the Mont-Tremblant ski resort, in the Laurentians touristic region, the Fraternité-sur-Lac resort site values human experience above all else. 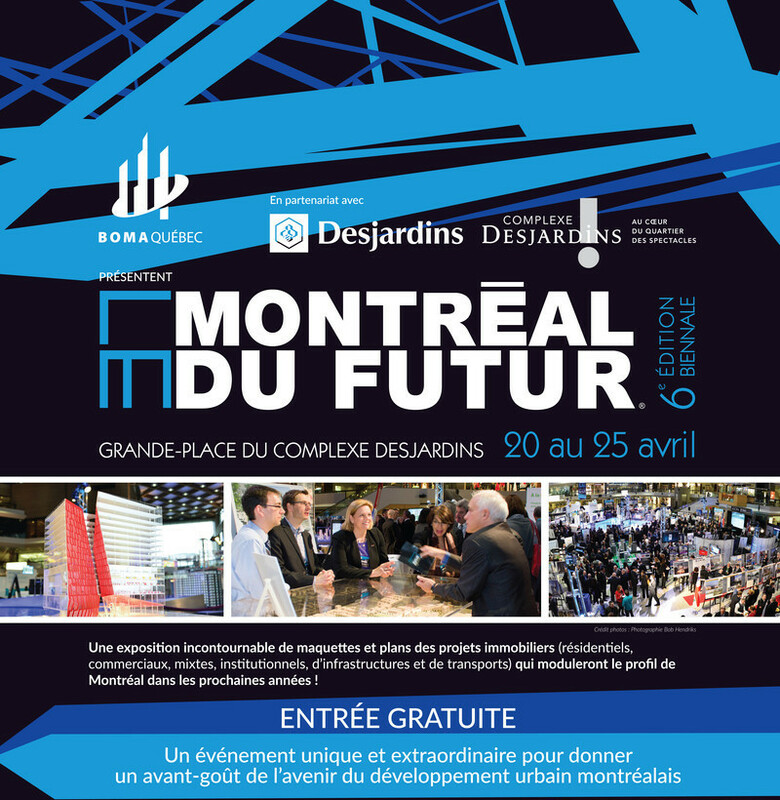 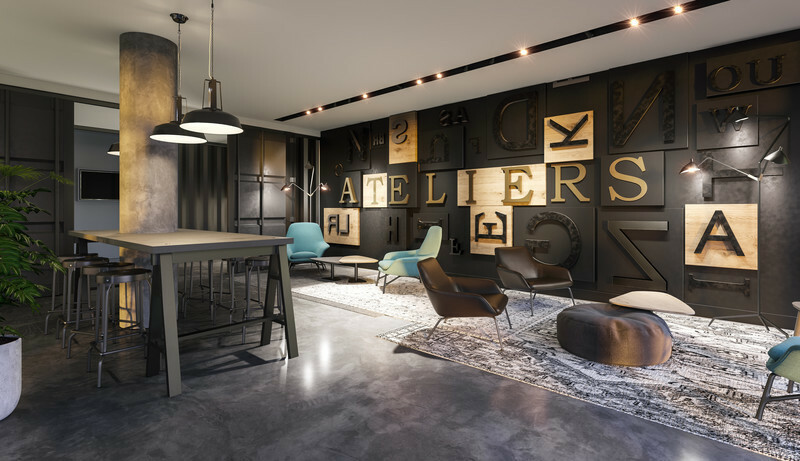 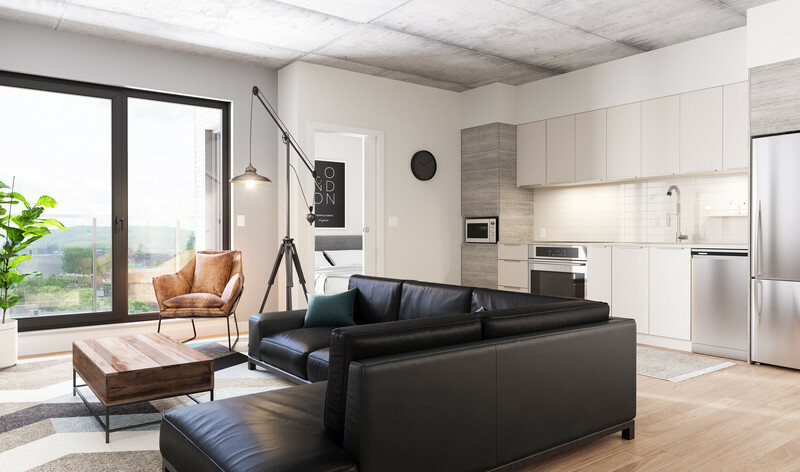 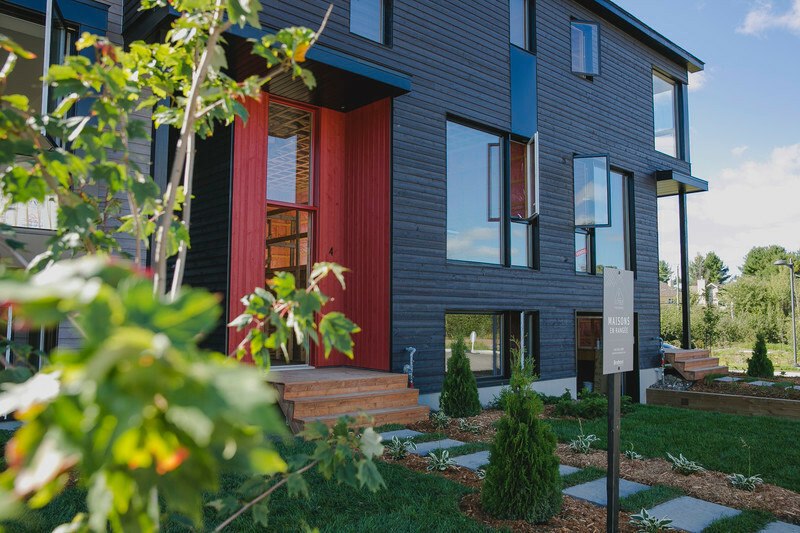 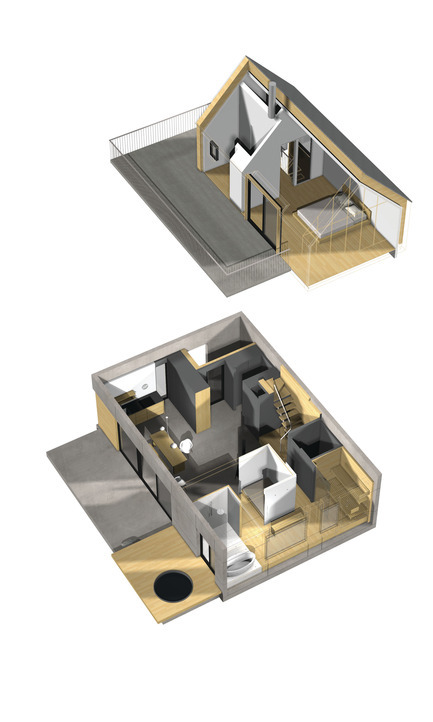 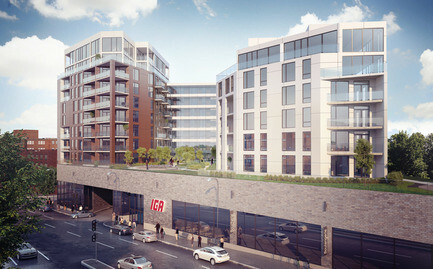 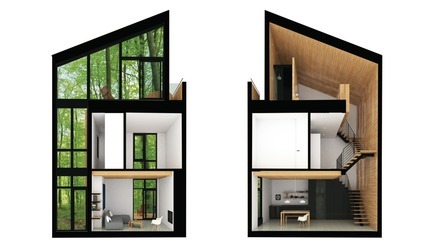 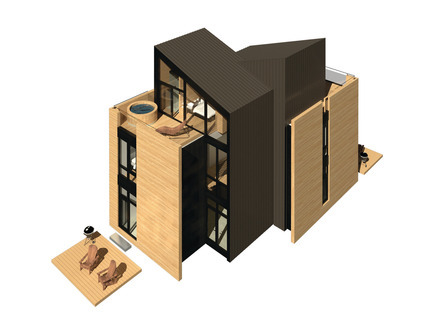 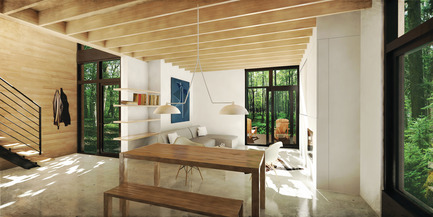 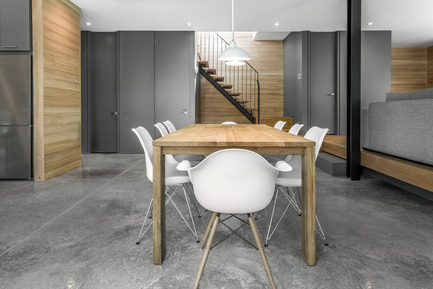 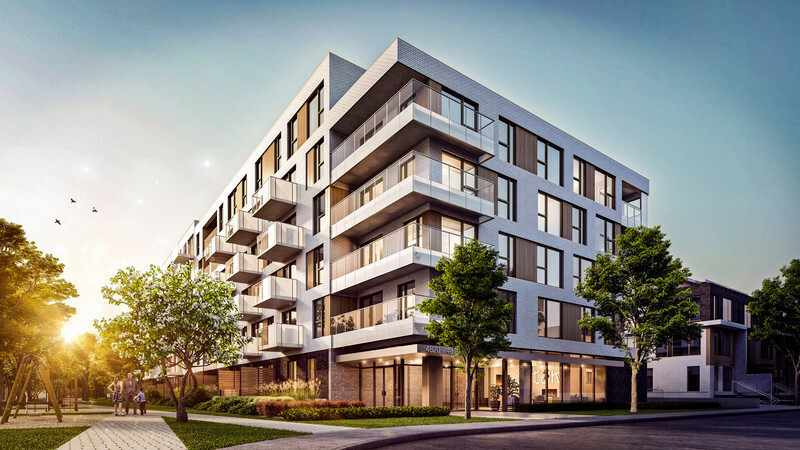 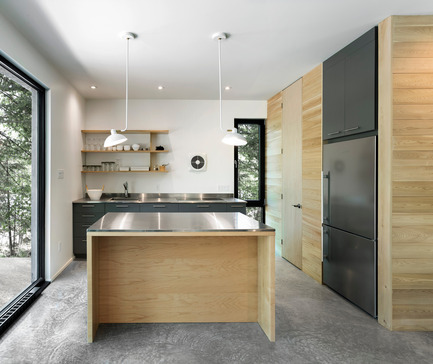 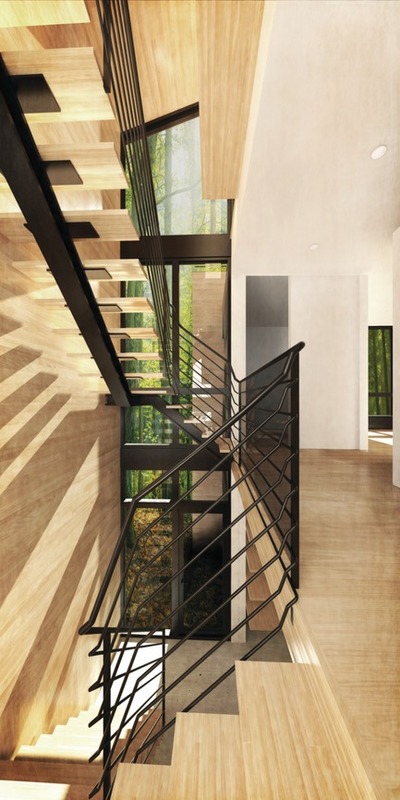 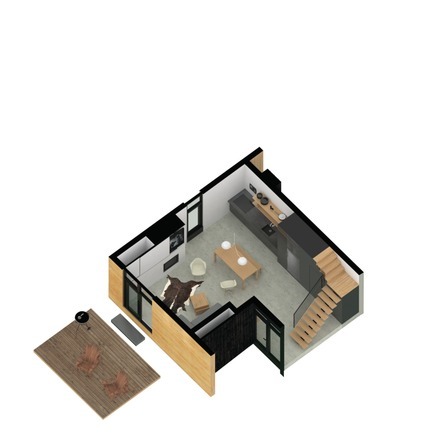 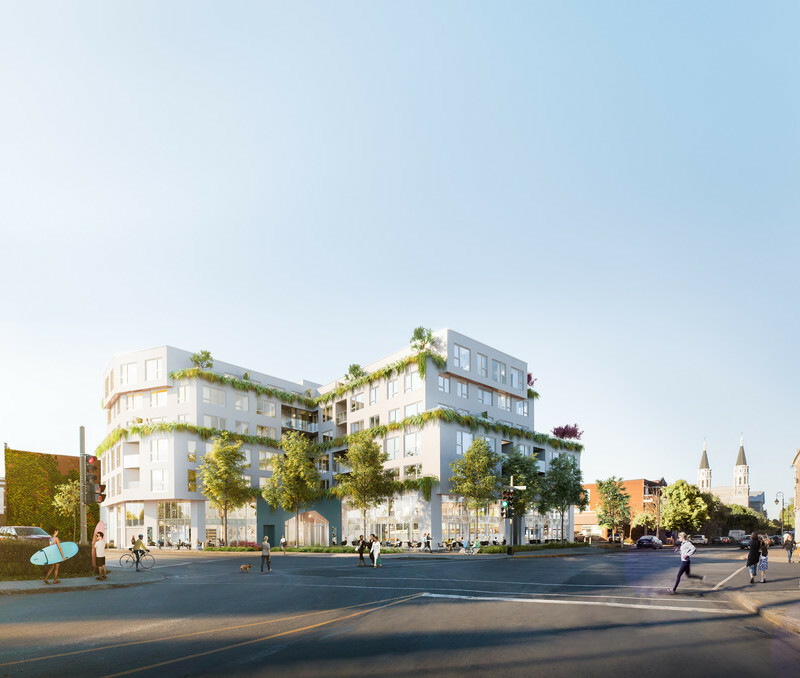 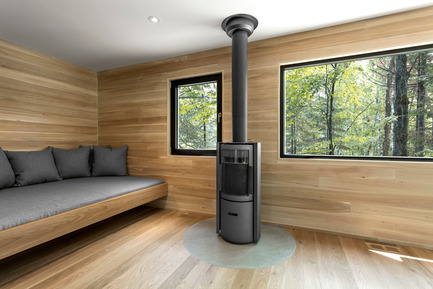 In 2012, its developers entrusted Montreal studio YH2 with the challenge of creating a series of modern residences that would be integrated to the natural environment – hence targeting a new generation of homeowners who are sensitive to design, architecture and new standards with regards to interior and exterior developments. 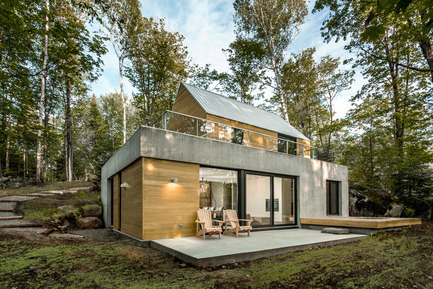 This approach marks a clear shift away from traditional log lodges, the mythical Canadian cabin or plywood-heavy alpine cottages surrounded by boutiques. 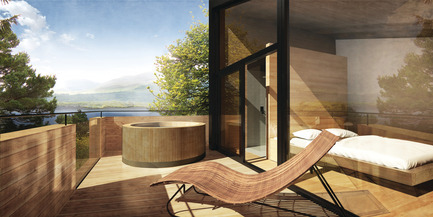 By signing on to a real estate project for the very first time, the YH2 team first conceived Spahaus, which focuses on horizontal housing, a marriage of wood and concrete, panoramic vistas and an outdoor spa. 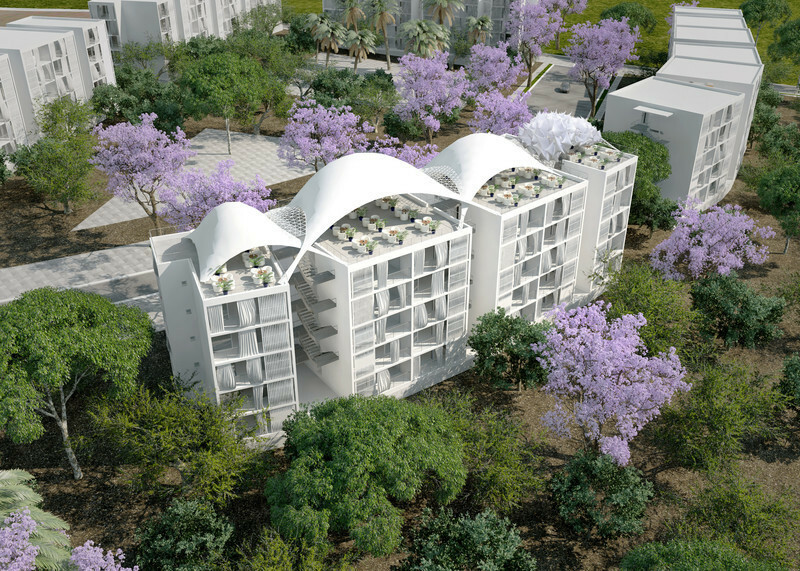 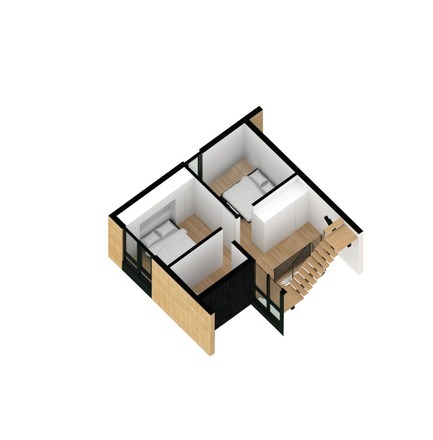 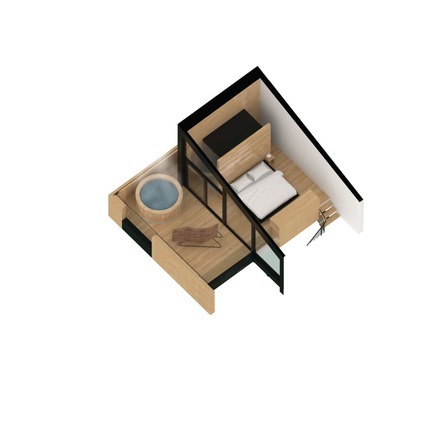 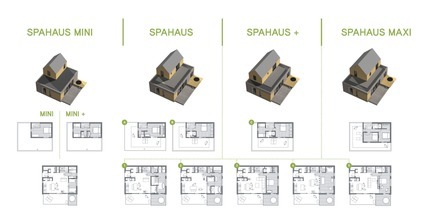 A series of Trihaus – a big brother to Spahaus – then rapidly followed, with its three-storey vertical design overlooking a terrace, providing owners with the feeling of living amidst the trees. 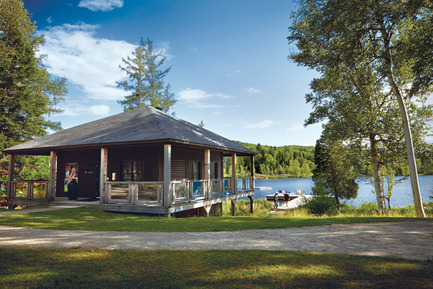 This cluster of secondary homes aims to preserve the site’s natural state, including the original trees, a river and trails leading to Lac Supérieur and the Club de la Pointe, an open-air playground laid out on the shores of the aforementioned lake, where motorized vessels are forbidden.